The shoulder is one of the most vulnerable joints in the human body and is particularly susceptible to injury due to the large range of movement and relatively small joint surfaces. Due to its vulnerability, shoulder injuries are common, especially amongst athletes who put their shoulders through repetitive motions often. Let’s take a look at some of the most common shoulder injuries and how they can be treated. 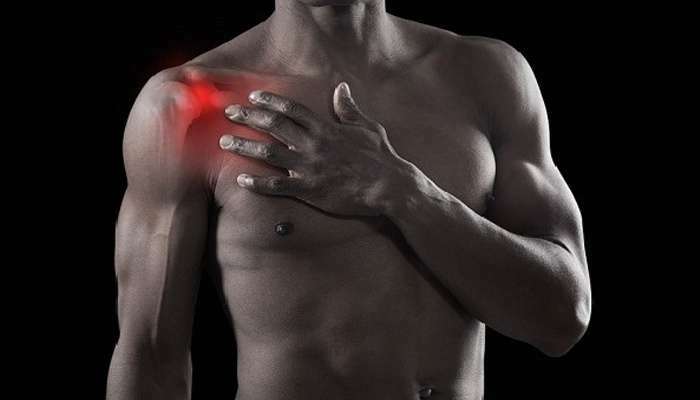 What are the most common shoulder injuries? Shoulder instability is seen most often in young people and athletes. When muscles and ligaments that hold it together are stretched beyond their normal limits, the shoulder becomes unstable. In athletes specifically, instability is caused by certain repetitive motions that put a lot of force on the shoulder such as tackling and pitching. While shoulder instability can be painful, pain is not always the first symptom that you will experience. Often an athlete will first notice that the shoulder feels loose or the arm feels weaker than normal. Minor shoulder instability can be treated with rest but more severe instability may require physical therapy or surgery. A separation happens when the ligaments that hold the clavicle to the roof of the shoulder tear. If this happens, the clavicle is pushed out of place and forms a bump at the top of the shoulder as illustrated in the following image. When a sprain occurs, you will likely suffer from severe pain, a misshapen shoulder and decreased movement. This happens with the ligaments that hold the shoulder muscles to your bones tear and can’t hold the joint together as illustrated in the following image. The main symptom of a dislocation is severe pain that becomes worse with movement. Within 15-20 minutes of the injury, the joint will become painful and swollen. The rotator cuff is a group of four muscles in the upper arm that allow you to raise and rotate the arm. These muscles are attached to the body by tendons that allow the muscles to move the arm. If the tendons tear, the humerus can’t move as easily in the socket and it will be difficult to move the arm up or away from the body. While this is an injury often seen in less active middle-aged or older adults who already have shoulder problems, this is also a common injury in athletes due to repetitive motions or stress on the tendons connecting the rotator cuff to the body. Symptoms of a torn rotator cuff include tenderness and soreness in the shoulder when using the shoulder. If the tendon has ruptured, you may not be able to raise the arm at all. You may also feel pain upon putting pressure on the shoulder. Frozen shoulder is an uncommon injury that affects about 2% of Americans between 40 and 60 years of age. This happens when a minor shoulder injury heals with scar tissue that affects how the joint moves. The scar tissue reduces flexibility in the shoulder and makes it more prone to injury. Frozen shoulder causes an extreme stiffness in which you will not be able to move the shoulder any way. How can I treat these injuries? With the exception of a dislocation which we will address in a moment, treatment of all of these common shoulder injuries depends on the severity of the injury. If the injury is somewhat minor, in most cases, you will need to start by decreasing pain and swelling with ice and rest. You also might need to keep the arm in a sling to limit movement of the shoulder and allow the injury to heal properly. In severe cases, you may then have to do some physical therapy and/or surgery. As mentioned above, a dislocated shoulder is the exception to the other treatments. A dislocation cannot heal on it’s own, it must be relocated by a healthcare professional. A medical provider will use gentle traction to pull the shoulder back into place. These treatments only do so much to help heal your shoulder injury. If you need to get back on the field faster or if you’ve tried everything else and are still suffering from your injury, it might be time to try out our Injury Treatment Kits.